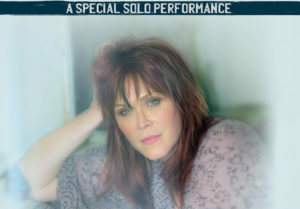 Due to doctor’s orders, Beth Hart has been forced to reschedule this show for Monday, April 29. All original tickets are valid for the April 29 concert and will be automatically transferred to this date. If you prefer a refund, contact the Ticketmaster Box Office at 800.745.3000. Described by Blues Magazine as “the ultimate female rock star,” the GRAMMY-nominated powerhouse vocalist performs a raw and unplugged set during an intimate, stripped-down solo tour. For over two decades, Hart has produced hit solo albums and head-turning vocals for guitar heroes like Joe Bonamassa, Jeff Beck, and Slash. Thanks to her celebrated burnt-honey voice, her 2015 record Better Than Home was a critical and commercial smash that topped the iTunes Blues Chart. With her followup album Fire on the Floor, Hart ran the gamut of genres reflecting her eclectic influences from gospel, soul, and classical to the seismic rock of Soundgarden. Now, after selling out shows in Europe, Hart returns stateside for her first solo tour in the U.S.